What is the reason you work? Is it for the money? If you really ponder that question, the answer is “no.” None of us are working for money — we’re really working to buy ourselves time, which is what money allows us. Time is what we really want! The more money we make the more time we create. As a small business owner, time is our asset and money morphs into leaves flying by our eyes. Small business owners then increase marketing, increase staff and increase revenue to rake those leaves into a pile. Only to have them blow away again. What are we doing wrong? As the CEO of Viral Solutions and a fellow small business owner, I find it challenging to balance cash flow, aggressive growth (thus aggressive expense growth), a personal life and the desire to fuel this engine I called Viral Solutions; the organization behind my passion to help overwhelmed small business owners duplicate themselves so business can be fun again. A major part of creating that fun in a small business is the accumulation of money, the tokens that enable us to do what we want and need to do for others. With the help of Alan Williams and Peter Jepson, I found a set of financial principles that they have trademarked, taught for decades to help all of us as small business owners achieve our goals. I would like to share those principles with you! Because there is an infinite opportunity to spend, but a finite amount of money to do so, the creation of more time and money are only possible when we are empowered to prioritize the spending of that finite amount so we can get the most benefit. To be empowered we must be principle-centered, otherwise we will live day-to-day making money and spending it on a whim of so called “wants and needs” only to find later that we have spent our entire future (or all of our time)! The creation of more money and time only comes by looking at each financial decision we make through the lens of principles. The Money Mastery Principles are the perfect lens by which to see the world as it really is. Without a foundation of solid, time-proven principles that can help alter the way you think about money and the methods by which you control it, you may find temporary relief using some of these financial services, but inevitably long-term problems will return. Only through the power of principle-based thinking can you make lasting and meaningful change. As Stephen Covey has said in his book, The 7 Habits of Highly Effective People, “There are basic principles of effective living, and … people can only experience true success and enduring happiness as they learn and integrate these principles into their basic character.” That’s why the Money Mastery Principles are so powerful. Apply the Money Mastery Principles Systematically and See for Yourself! families would not be consuming more than they make and would be far wealthier than they are. If you do not decide to systematically control your money, you will emotionally consume your future and the opportunities it can offer. Spending money almost always has a powerful emotional impact on our lives, whether we realize it or not. Principle 2: When You Track Your Money, You Control It. Corporations are required to track spending and assets, yet individuals are reluctant to take the time to track and control their personal spending. People who do track find they are wasting at least $312 every month that they could be applying to savings or using to pay down debt. Planning how to spend, and spending according to a plan is the key to becoming wealthy. To any responsible person, this should be the only option. Principle 3: Savings Is Actually Delayed Spending. Wealth and security depend on how you spend, not on how you save or on how much money you make. There is actually no such thing as “savings” because every dollar is to be spent — what matters most is how you spend it. This principle points out that you have to “spend” money each month for your future by paying yourself first. People who pay themselves first add at least an additional $302, 000 to their retirement savings, while many find much, much more. dramatic, teaches the difference between good and bad debt and how to get out of bad debt as quickly as possible. By applying this principle, it is mathematically feasible for anyone, no matter how bad their debt-load is, to get completely out of debt in nine years or less, including a 30-year mortgage. Why not become debt-free and pay yourself compound interest instead of giving it to creditors? Then without taking on any additional risk or needing any more money you can not only be out of debt in 30 years, but out of debt with a million dollars in your pocket! Principle 5: Know the Rules. This principle teaches that you do not need to know everything financial but you do need to know where to go for information that is important for you — that means reading and understanding all contracts you enter into and relying on financial mentors and professionals as needed. In today’s world of easy credit many people feel they are entitled to play very complex financial games, like owning a credit card, without paying the price to learn the rules of that game. Ask questions! The answers could be worth thousands of dollars to you. Principle 6: The Rules Are Always Changing. Recently the IRS implemented 1,200 changes in one year to the U.S. tax law. This illustrates that things are always changing financially and that you must be able to cope with those changes. You must be capable of moving with change, always open to learning new information that can be vital to your future success. Otherwise, you will face consequences that could force you to work many years beyond the point that you want to. To know this principle is to shave years from your working life! Principle 7: Always Look at the Big Picture. In the absence of long-term goals you will make financial decisions you cannot afford. With specific goals clearly in mind, you will make spending decisions today that will not only bring happiness to you now, but that will build a happy life for the future. We cannot become wealthy without first “Master Planning” our lives by looking at where we are now, where we want to go in the future, and figuring out a plan to get there. finances means knowing where important documents are, having an estate plan for your loved ones, and knowing how to protect your assets from over-taxation, litigation, and theft. Principle 9: Understanding Taxation Enables You to Retain More Money. The easiest way to earn more money is to keep more of the money you already make! That means giving the IRS what it expects only when it is due and no more. Tax refunds are mythical benefits that come at a great cost to American families. Don’t be fooled by this myth and countless others. Knowing the real rules about taxation will free and empower you. Principle 10: Money in Motion Creates More Money. This principle is a combination of applying each of the other nine. This principle is where wealth is truly built and accelerated (but only when the other nine principles are clearly understood and applied). If there is one single strategy that builds wealth and financial security the fastest, it is understanding the “leverage” factor of Principle 10 and how to get your money to do more than one thing at a time. The banks do it and so can you! For each of us there is an infinite opportunity to spend money, but a finite amount of money to spend. Wealth and financial security are only possible when you are empowered to prioritize the spending of that finite amount of money so you get the most benefit. Wealth comes by looking at each financial decision you make through the lens of principles. 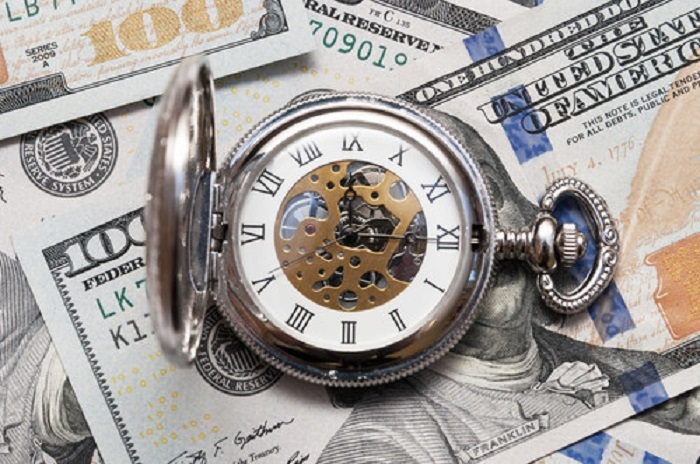 This important link between time and money is what Money Mastery® is all about — so much so that the company that created this powerful system of personal financial management calls itself Time & Money, LLC. Money Mastery teaches people how to keep more of the money they already make (eliminating the misdirected urge to put in more time in order to make more money) and helps them learn how to make their money go to work for them to earn them more money, consequently giving them more time. Money Mastery is a federally registered trademark and the Money Mastery logo and all other trademarks, servicemarks, and trade names appearing on the site are the property of Time & Money, LLC or its respective owners that have granted Time & Money, LLC the right to use such marks.